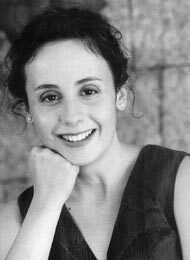 Isabel Monar was born in Valencia, where she studied at the Conservatorio Superior de Música, with Ana Luisa Chova, winning the Special Graduation Prize in 1991. She broadened her repertoire studies with Miguel Zanetti, making her debut at the Mozart Festival in Madrid. Highlights of her career have been her portrayals of parts such as Lucile/Venus by O. Schoeck, at the Grand Théâtre in Geneva; Susanna/Le Nozze di Figaro and Adina/L’Elisir d’Amore at the Berne Opera; Serpina, in La Serva Padrona and Despina/Così fan Tutte at the Lausanne Opera; Norina/Don Pasquale in Madrid, at the Teatro de la Zarzuela and Elisetta in Il Matrimonio Segreto at the Festival of Perelada. She appeared as Zdenka/Arabella with the English Opera North. Guest appearances in the United States included Doña Francisquita in Washington D.C. as well as Nebrea’s Iphigenia in Trace in New York and Boston. She is also a frequent guest in concert performances. She has sung The Messiah with R. King, Mendelssohn’s Ein Sommernachtstraum and Bach’s Magnificat with Peter Maag, Beethoven’s Ninth Symphony with Neville Marriner, Mahler’s Eighth Symphony with Salvador Mas Conde, Mozart’s Requiem with C. Hogwood, Bruckner´s Te Deum under Victor Pablo Pérez, Mahler’s 2nd Symphony with the Orquestra Ciutat de Barcelona and F. P. Decker at the Auditori in Barcelona, concerts with the Orquesta Ciudad de Granada under Paul McCreesh. She was soloist in a tour of Germany with the Orquesta Sinfónica de Valencia conducted by Miguel Gomez-Martinez who invited her also for his New Year’s Gala Concert with the Hamburg Symphony Orchestra. She also works regularly with H. Christophers, Comissiona, Decker, López Cobos, Victor Pablo, Ranzani, Ros Marbà, Venzago, Weikert and Zedda. Her discography includes five recordings of Spanish early and baroque music as well as Bohemios, Luisa Fernanda, La Tabernera del Puerto and an album dedicated to E. Toldrà. In recent seasons she sang Liu/Turandot at the Puccini Festival in Valencia, La Purpura de la Rosa by Tomás de Torrejón y Velasco at the Grand Théâtre in Geneva, a co- production with the Teatro de la Zarzuela in Madrid and with Mexico D.F, Rosina/The Barber of Seville at the Perelada Festival, Pamina/The Magic Flute in the Gran Teatre del Liceu, Barcelona, Marzellina/Fidelio in Nancy (France), an outstanding Ilia/Idomeneo in Berne under Miguel Gómez-Martínez; further roles included Divinas Palabras under Antoni Ros Marbà at the Teatro Real in Madrid, Adina/ L’Elisir d’Amore and Despina/Cosi Fan Tutte under Jesus López Cobos. Her participation in the Il Buon Marito production (F. Benda) at the Schwetzinger Festspiele as well as in Spain under Martin Haselböck, obtained great success, Marzelline/ Fidelio in Barcelona under Antoni Ros Marbá, Cosi fan tutte at the Mozart Festival in La Coruña, , Gluck’s Orfeo ed Euridice at the summer festival Castell de Perelada with López Cobos, Così fan tutte in Padova , and Susanna/Le Nozze di Figaro in Marseille were important engagements in the last seasons. On 2003/04 and 2004/05 season she sang the main role of L’Enfant et les Sortilèges under Antoni Ros-Marbà in Valencia, Beethoven´s 9th with Orquesta Sinfónica de Madrid under Maestro López Cobos, el Pessebre by Pau Casals, La Verbena de la Paloma at the Granada Festival in a new production by Els Comediants; on summer 2004 she sang Euridice/Orfeo ed Euridice by Gluck in a new production of Opera North, première at Edinburgh Festival and in Leeds and Montecarlo, and Il Re Pastore and Il Sogno di Scipione at concert version with Wiener Akademie under Martin Haselbock in Viena LA " Lisette / La Rondine in Hilversun with the Netherlands Radio Symphony Orchestra. under Maestro Gómez Martínez.